James Reaney’s One Man Masque was first performed by the author as part of “An Evening with James Reaney and John Beckwith” at the Hart House Theatre in Toronto on April 5, 1960. 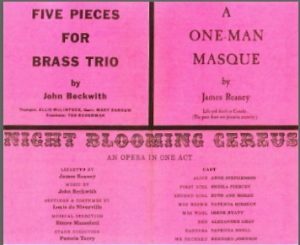 Originally planned as the premiere of Beckwith and Reaney’s opera Night Blooming Cereus, One Man Masque and Beckwith’s Five Pieces for Brass Trio were added to form the first half of the program. 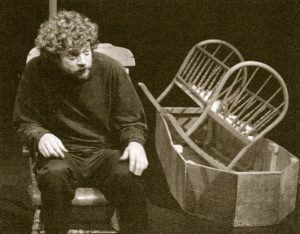 One Man Masque has been performed by Jerry Franken in 1974 at the Tarragon Theatre, Jeff Culbert at the Grand Theatre in 2002, and by Larry Beckwith at Nuit Blanche in 2010. 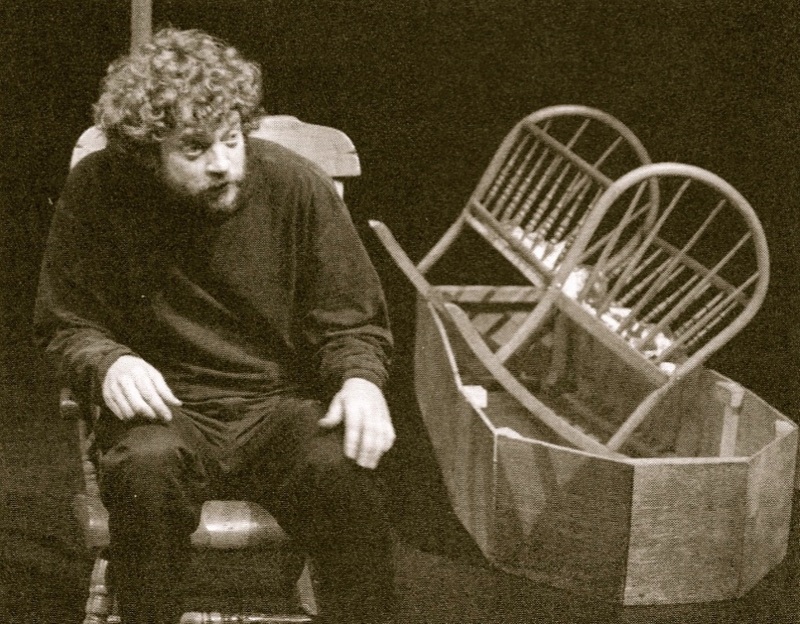 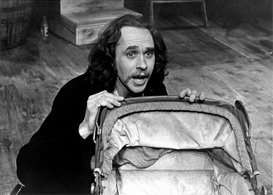 Jerry Franken in James Reaney’s One Man Masque, 1974 at the Tarragon Theatre in Toronto.